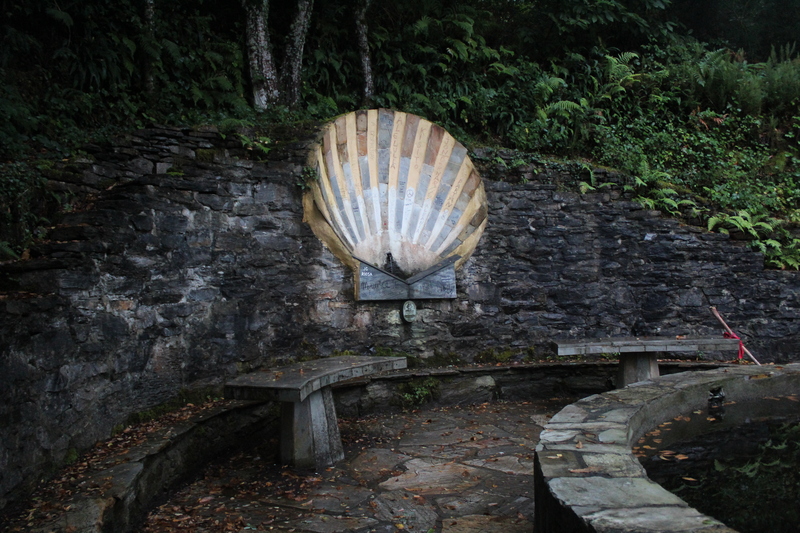 The scallop shell is the enduring symbol of the Camino. It guided us through city streets, was carved on pavements and walls and it swung on the backs of thousands of fellow pilgrims as we walked The Way. Increasingly the form appeared on our plates as Flan de Santiago, a scallop-shaped crème caramel and, as we walked through the woods a kilometer or so out of Triacastela, a giant motif marked a drinking fountain. We filled our bottles here then crossed the lush farmlands of Galicia, walked alongside fields of cattle and through the middle of farmyards and steadings, all the way to Serria – where Robbie demanded “a decent lunch”! An Italian restaurant on the outskirts of town served us delicious spaghetti with garlic, oil and chilli spices; we had rosemary bread, vino tinto and tiramisu. I didn’t think I’d be able to move again but we picked up our packs and ploughed on to Ferrerios where we got the last bunks in the municipal albergue that already contained several old friends, Carmen and Nathan, Lisette from Denmark and her entertaining friend Bibi who had just joined her. 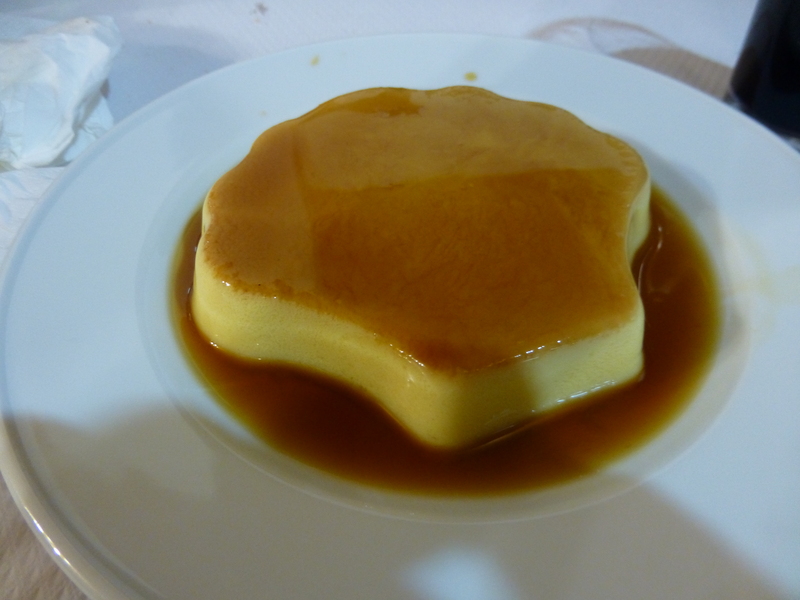 We shared a dinner of Galician chicken and the first of many Flans de Santiago. The newcomers then headed for the bar while we old-timers got our heads on the pillows as quickly as possible.